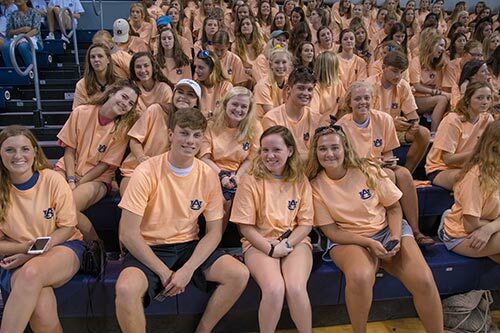 First-Year Convocation is for all first-year students and serves as the official kickoff to students' academic careers at Auburn University. 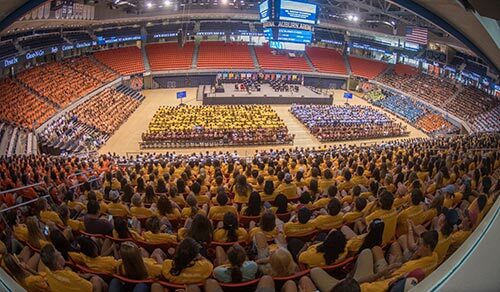 Convocation 2018 will take place on Sunday, August 19, at the Auburn Arena. Doors open at 3:30 p.m., and the ceremony will begin at 4:15 p.m. 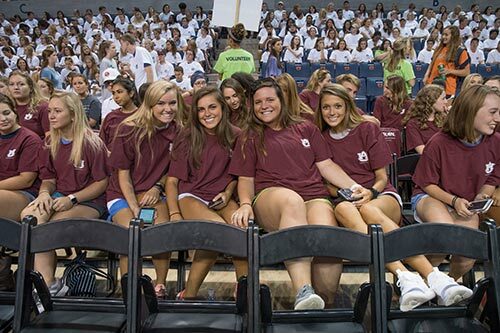 Upon arrival, students will be directed to the seating section assigned to their academic college and will receive their class t-shirt colored for that college. 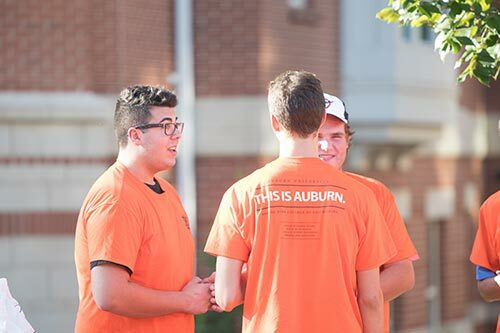 Convocation will feature several speakers from all across campus who will instill the values and expectations of the Auburn Creed. 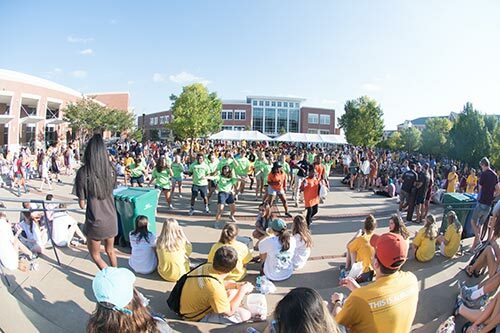 All attendees are invited to a celebration on the arena green space after Convocation concludes. Food will be provided. 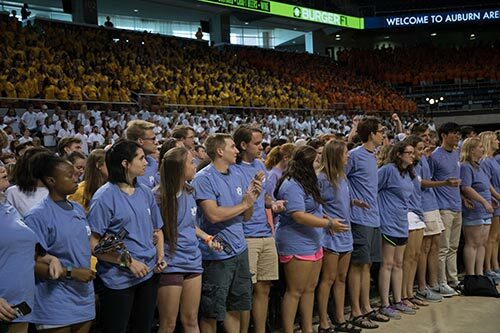 All faculty are invited to attend and may sit with their students in their designated section or in the VIP seats on the floor. 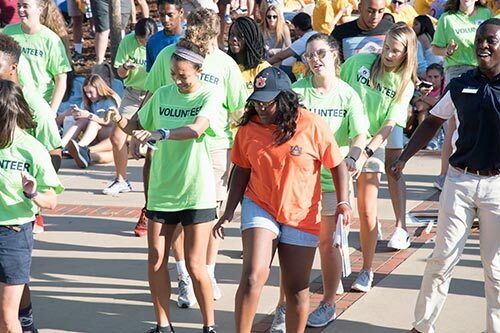 Faculty are also invited to attend the celebration meal afterwards on the arena green space at 5:30 p.m.
Convocation is required for all incoming first-year students to attend. Contact Convocation chair Brad Smith with any questions or concerns.